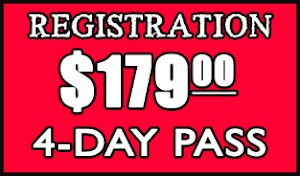 Deadline For Special Cabin Pricing Extended To May 3rd! A happy group of castaways on Coco Cay in The Bahamas during the 2nd Annual Castaway Music Cruise! We had such a blast this year aboard the Royal Caribbean ship Enchantment of the Seas! With stops in Nassau, The Bahamas and private island Coco Cay, there were plenty of opportunities to sightsee, explore local cuisine and play lots and lots of music! Call Royal Caribbean Cruise Lines @ 800-465-3595, (select Option #4). 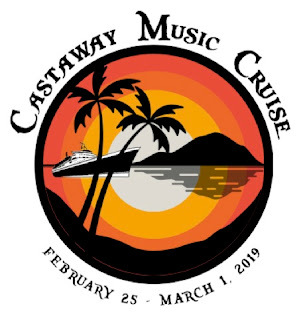 Book with GROUP # 1499734 "Castaway Music Cruise"
$200.00 deposit is TOTALLY refundable until December 3, 2019 when final payment is due! Call Sharrie @ 440-478-1302 with any questions! 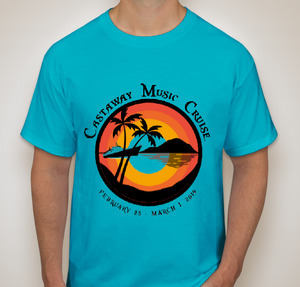 Special Prices On Cabins For The 3rd Annual Castaway Music Cruise - Through April 4th! 2020 Castaway Cruise is Ready for Booking! It was another fabulous retreat - we had a wonderful time with everyone, thanks for being a part of it! If you're missing anything, we had quite a few lost and found items, so check with us. 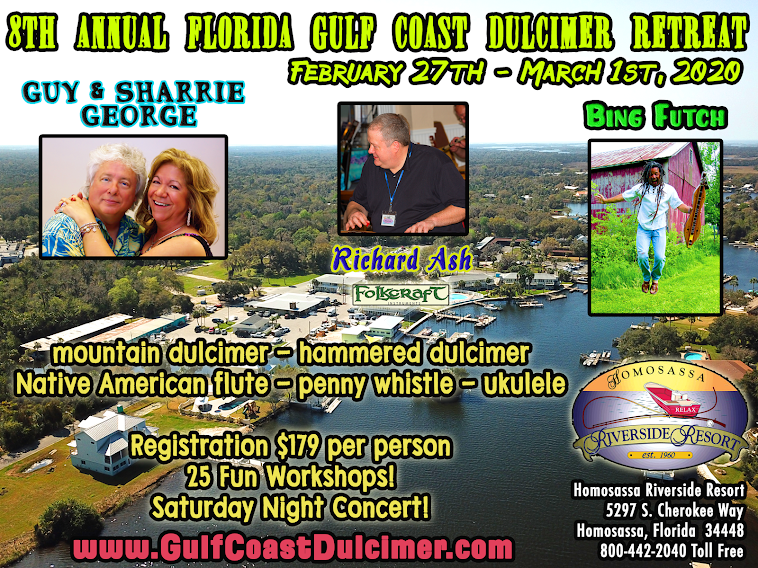 Registration for the 8th Annual Florida Gulf Coast Dulcimer Retreat will be open again soon. What an amazing week! Hope everyone has safe travels home. Welcome to Old Homosassa, Florida! It's a gorgeous day in Homosassa Springs and this is about how it's going to look/feel for the next several days as we enjoy our 7th Annual Florida Gulf Coast Dulcimer Retreat! The instructors are beginning to roll into the Homosassa Riverside Resort in preparation for the week and we'll officially kick into ready-mode tomorrow afternoon with early registration in The Manatee Ballroom. The ballroom is located right behind the resort's registration desk. Starting sometime in the late afternoon, we'll begin early registration. We're all looking forward to sharing this beautiful place with you and wish you all safe travels to Homosassa Springs! 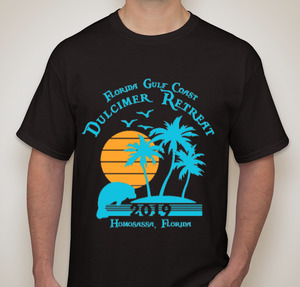 T-shirts are now available to order online, for both our Retreat and the cruise! Go to www.islandguymusic.com and scroll down to order! We'll have them for you at the retreat or the first jam night of sailing! We also NEED to know if you wish to sit for dining at a table with specific people for our dinner time. This only applies for the first night, as we will be able to move about within our group after that, but if you would like to be near a friend or cabin-mate, please reply to this email, or call or text Sharrie at 440-478-1302! We must return this by Jan 18th, so there isn't much time to get requests done. We appreciate hearing from you ASAP!